Taipei, Taiwan: The seventh annual International Conference on Tibet organized by the Taiwan Office of Tibet in collaboration with the Taiwan Tibetan Welfare Association was held at National Memorial Museum. The conference expressed support for the Middle Way Approach of the Central Tibetan Administration. Titled “Finding Common Ground – Looking at the Tibet Issue from the Taiwan Experience”, the conference featured presentation by scholars, experts and activists from the United States, United Kingdom, Hong Kong, India and Taiwan. Prof. Ming Xia, of the City University of New York delivered the keynote address on the topic ‘High Plateau and River: Interpreting Tibet from Two Perspectives,’ and analyzed the issue of Tibet from two different aspects: Mountains and Rivers. “The exile Tibetan community is like a flowing river. Although they have left the mountains of Tibet, they have still remained connected to their homeland like a snow and continue to provide feedback to Tibet. 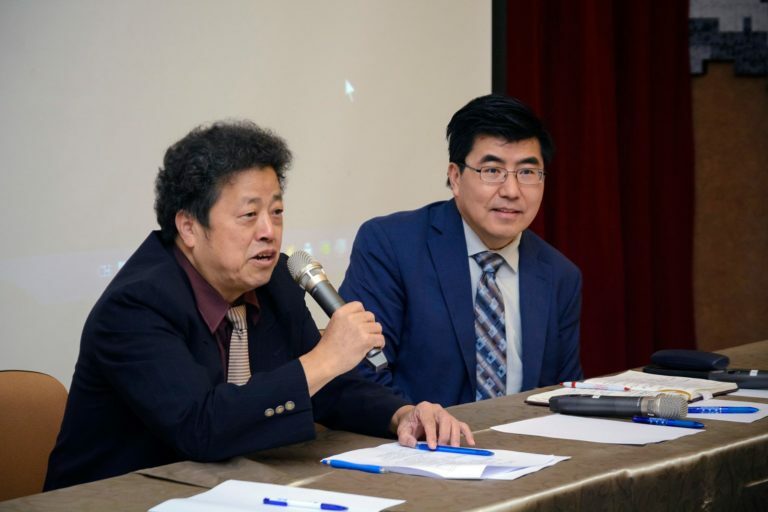 What I am trying to say is the Tibetan tradition and heritage is like a great mountain and through evolution and adaptation to the new environment, the Tibetan community in exile, like a dynamic and creative river, has remained connected with the mountains,” said Prof. Ming Xia. “If we look at the Middle-Way Approach, if we look at how we are here today with the people of Hong Kong, Taiwan and Xinjiang, we have to ask one fundamental question whether we are going to be a mountain and be separated, or we are going to be like a river, where we are converging and going to create a strong new future, not only for the Chinese, but also for Tibetans and Uyghurs as well as the people of Taiwan and Hong Kong,” he further added. 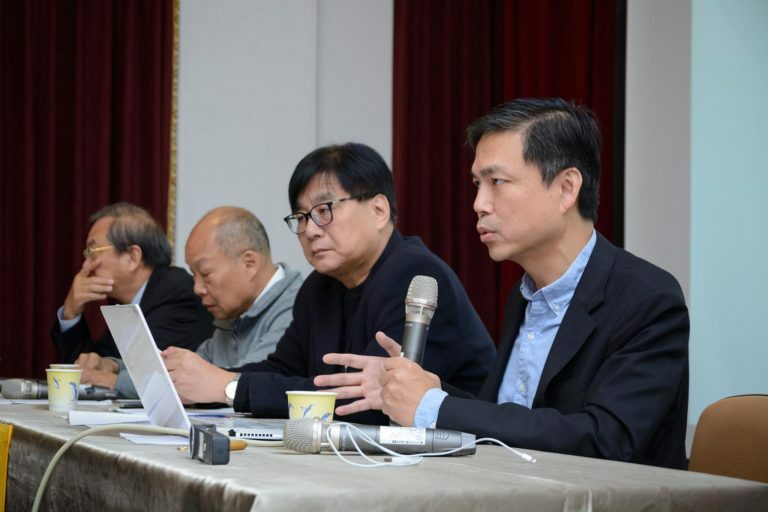 The conference featured presentations by nine scholars and human rights activists on various issues related Tibet, China, Xinjiang, Hong Kong and Taiwan. Dhardon Sharling, the Information Secretary (equivalent) of the Department of Information and International Relations (DIIR) of the Central Tibetan Administration (CTA), said the moral and legitimacy deficit facing the rise of China is partially because of how it has been handling the Tibet issue for the last sixty years. Elucidating on the occupation of Tibet and the repression of its people, culture and religion as a global concern, Dhardon said that a peaceful and prompt resolution of the Tibet issue will enhance China’s standing and stability since Tibet represents a unique and precious spiritual and cultural tradition whose values of non-violence, mutual respect, and compassion are an important and special part of the heritage of humankind. “Under the guidance and leadership of His Holiness the Dalai Lama, the Middle Way Approach demonstrates these Tibetan values in application. The Tibetan approach to its freedom struggle can be a powerful inspiration and example to others around the globe as an alternative to the cruelty of war, violence, and terrorism if the international community supports those efforts and Tibetans achieve their freedom and the return of His Holiness to Tibet,’ said Dhardon. Speaking about the ‘Five-Fifty Vision’ of CTA, Dhardon Sharling said that CTA under the leadership of President Dr Lobsang Sangay, will make every effort to resolve the issue of Tibet and Tibet’s political future in five years in accordance with the MWA but at the same time, will devote substantial attention and resources to sustaining and strengthening the resilience of the Tibetan people inside and outside of Tibet, the Tibetan freedom struggle, and the Tibetan culture and identity for the next fifty years if need be. 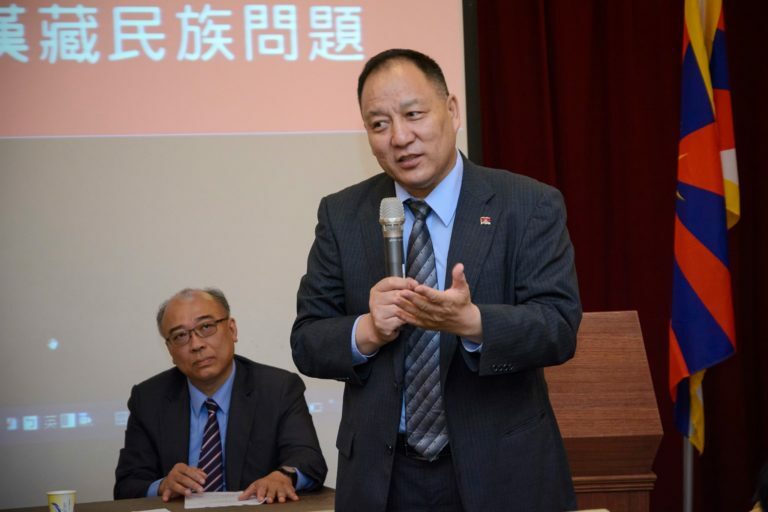 Edward Chin, the convener of Hong Kong 2047 Monitor, in his presentation titled China’s New Tibet: Hong Kong, said that he supports the Middle-Way policy of His Holiness the Dalai Lama. “It has already been close to sixty years since His Holiness the Dalai Lama has been in exile. The whole world is watching as China is getting more and more powerful. We wish that China would respect human rights and have dialogue with His Holiness and in doing so, China is inviting bigger challenges in the near future,” he said. 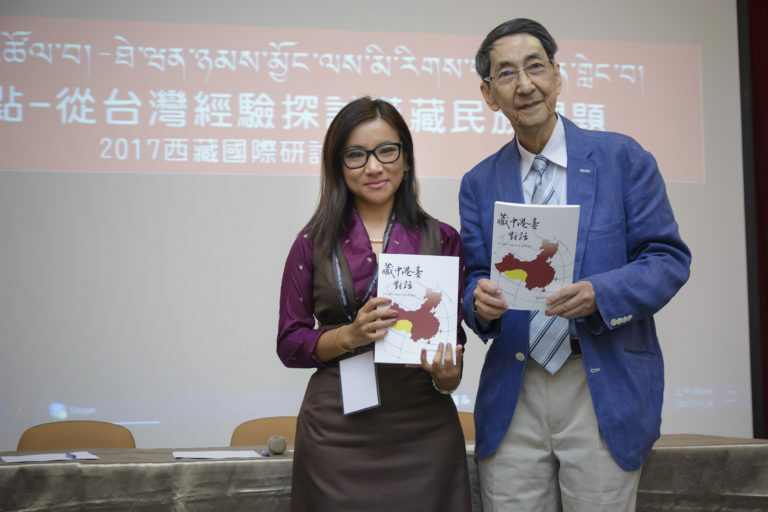 The conference also featured a book launch: ‘Dialogue Between Tibet, China Hong Kong and Taiwan,’published by the Snowland Publications. Launched by DIIR Secretary (equivalent) Dhardon Sharling and Prof. Mab Huang of Soochow University, the book is a collection of paper submissions made during the annual conference organized by the Taiwan Office of Tibet from 2014-16.